PASADENA, Calif. -- Thousands flocked to Colorado Boulevard in Pasadena to claim their spot for the 126th Rose Parade on New Year's Day. Themed "Inspiring Stories," the parade featured 39 floral floats, 19 marching bands and 18 high-stepping equestrian units. World War II hero and former Olympian Louis Zamperini was named grand marshal, however, he died in July 2014. Instead, his son and daughter took his place. 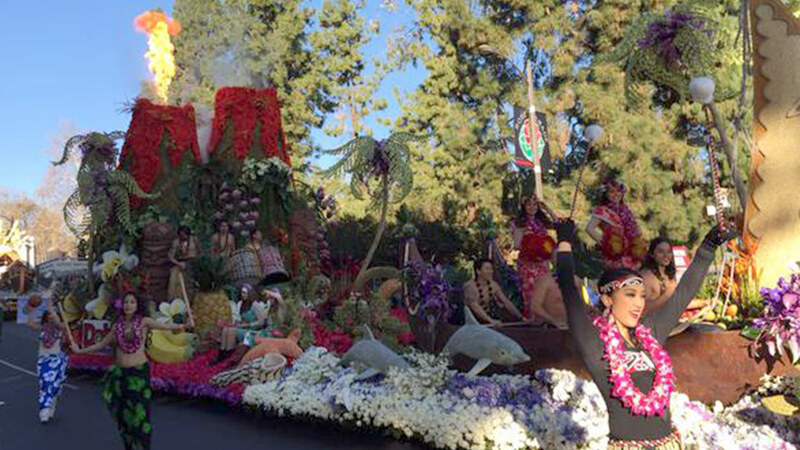 A float honoring Zamperini, submitted by the City of Torrance, won the parade's top honors. Other winning floats included Princess Cruises, featuring cast members from "The Love Boat" and a float from ABC's reality TV show "The Bachelor." Eleven people were arrested overnight in the parade area, including 10 for being drunk in public and one for vandalism. The Pasadena Fire Department reported an overall quiet night with only 12 medical calls. An official said the low call volume was thanks to die-hard campers who had come prepared for the cold weather. Temperatures hovered above freezing at an unofficial 37 degrees at dawn and were just shy of setting a record for the coldest parade. In 1952, the temperature was 32 degrees.